Expedia has some Narva travel packages waiting for you. Combining your flights and accommodations is one of the simplest ways to save cash on your upcoming adventure. Smart travelers who grab a package deal on Expedia will save up to C$590*. With more than 400 partner airlines and 321,000 properties worldwide available on our international database, you'll have your dream vacation in no time! You can delay your vacation plans with us because we don't charge cancellation fees for almost all of our reservations. There are loads of amazing things you can do when you're in a new destination. So why not get your trip to Narva off to a sensational start by perusing some of our top tips? After all – out there starts here! Saunter around the very old chambers, halls and corridors of Hermann Castle. This impressive fortification provides an educational excursion for the entire family. Adventurers in this destination are spoilt for choice. Ivangorod Fortress protected the region from invaders for generations. Drop by this striking structure and discover its role in history. Still have some time to spare? There's something captivating about observing water pouring down the side of a cliff. Try to get as close as you can to Narva Cascades and feel the cool mist hit your skin. Finding somewhere comfortable to stay is often crucial to the perfect cheap vacation or luxury getaway. 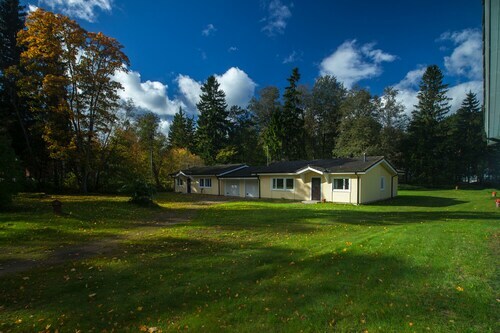 With just 2 properties in Narva, it's advised that you book as soon as you've organized your dates. 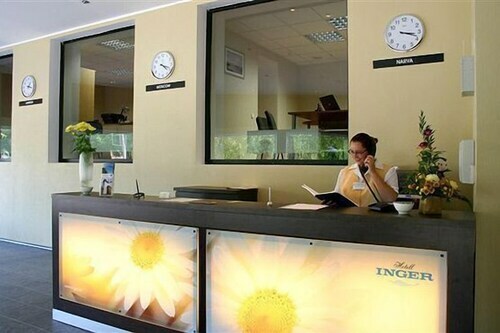 Check out the Narva Hotell (Puskini 6) and the Hotel Inger (Puskini 28). These highly-regarded accommodations don't only come with comfy beds — they boast fantastic reviews as well! Based just 80 miles (129 km) away, Pulkovo Airport (LED) is the nearest terminal to your destination. Check that your seat belt is buckled and switch off that in-flight movie — your exciting trip to Narva isn't far off now! 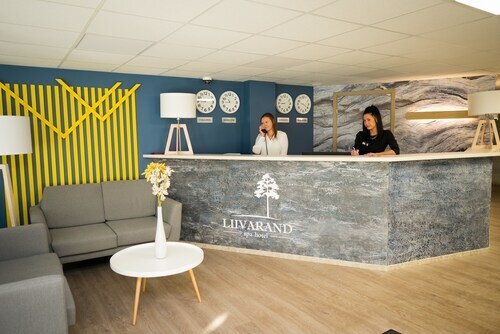 Located in the heart of Narva, this hotel is within a 5-minute walk of The Lords Resurrection Cathedral, Narva Alexander's Cathedral, and Narva Bastions. Hermann Castle and Fama Centre are also within 1 mi (2 km). Located in the heart of Narva, this hotel is within a 15-minute walk of Fama Centre, Narva Bastions, and The Lords Resurrection Cathedral. Hermann Castle and Narva Alexander's Cathedral are also within 1 mi (2 km). 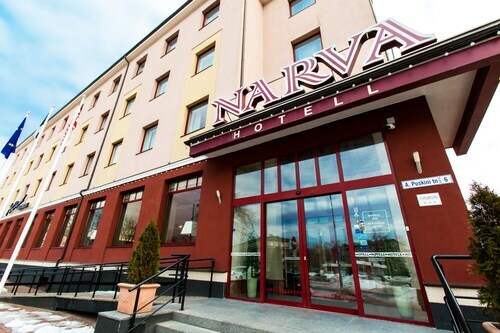 This family-friendly Narva-Joesuu hotel is located near the beach, 1.6 mi (2.5 km) from Narva-Joesuu Lighthouse, and within 12 mi (20 km) of The Lords Resurrection Cathedral and Narva Alexander's Cathedral. Narva Cascades and Fama Centre are also within 12 mi (20 km). 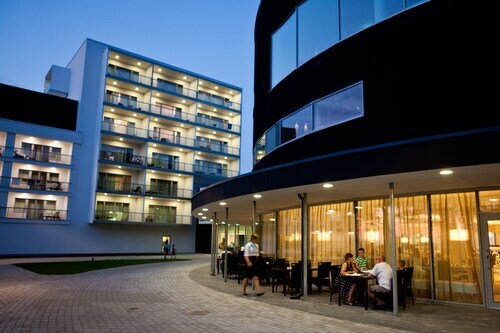 This Narva-Joesuu hotel is on the beach, 2.3 mi (3.7 km) from Narva-Joesuu Lighthouse, and within 12 mi (20 km) of Fama Centre and Narva Bastions. The Lords Resurrection Cathedral and Hermann Castle are also within 12 mi (20 km). 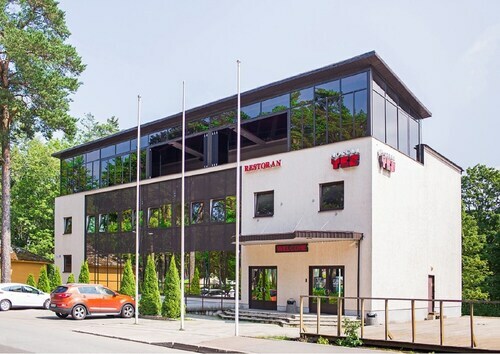 This Narva-Joesuu hotel is on the beach, 1.9 mi (3.1 km) from Narva-Joesuu Lighthouse, and within 12 mi (20 km) of Fama Centre and Narva Bastions. The Lords Resurrection Cathedral and Hermann Castle are also within 12 mi (20 km). 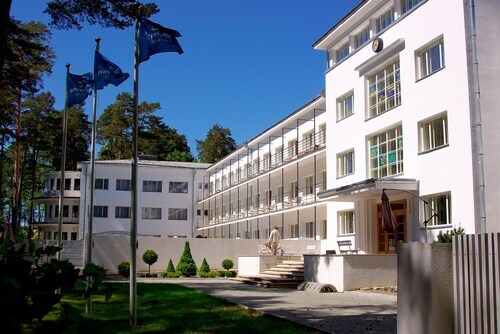 Located in Narva-Joesuu, this family-friendly hotel is 0.6 mi (0.9 km) from Narva-Joesuu Lighthouse, and within 12 mi (20 km) of The Lords Resurrection Cathedral and Narva Alexander's Cathedral. Narva Cascades and Fama Centre are also within 12 mi (20 km). This Narva-Joesuu cottage is on the beach, 2.3 mi (3.7 km) from Narva-Joesuu Lighthouse, and within 12 mi (20 km) of Fama Centre and Narva Bastions. The Lords Resurrection Cathedral and Hermann Castle are also within 12 mi (20 km). 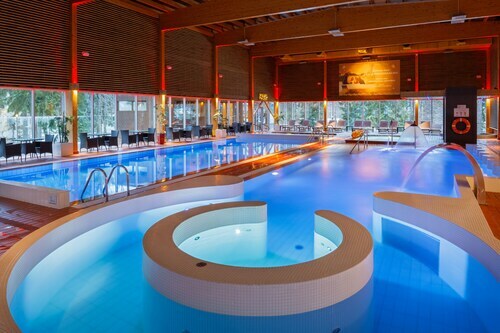 Situated in Narva-Joesuu, this spa hotel is 1.1 mi (1.8 km) from Narva-Joesuu Lighthouse and within 12 mi (20 km) of Fama Centre and Narva Bastions. The Lords Resurrection Cathedral and Hermann Castle are also within 12 mi (20 km). Thu., 25 Jul. - Sat., 3 Aug.